Shuba Kumar, Jony Christina, Anna Revathi Jagadish, John Victor Peter, Kurien Thomas, Thambu David Sudarsanam. Caregiver perceptions of Intensive Care. A qualitative study from south India The National Medical Journal of India Vol. 30, No. 3, 2017. Anuradha Narayanan, Shuba Kumar, and Krishna Kumar Ramani. Spectacle Compliance among Adolescents: A Qualitative Study from Southern India. Optom Vis Sci 2017; Vol 94: (582-587). Shuba Kumar, Rani Mohanraj, Deepa Rao, Katherine R. Murray, Lisa E. Manhart. Positive Coping Strategies and HIV-Related Stigma in South India. AIDS Patient Care and STD. March 2015, 29(3): 157-163. doi:10.1089/apc.2014.0182. Neil Krishan Aggarwal, Madhumitha Balaji, Shuba Kumar, Rani Mohanraj, Atif Rahman, Helena Verdeli, Ricardo Araya, M.J.D. Jordans, Neerja Chowdhary and Vikram Patel. Using Consumer Perspectives to Inform the Cultural Adaptation of Psychological Treatments for Depression: A Mixed Methods Study from South Asia. Journal of Affective Disorders 163 (2014) 88–101. Rani Mohanraj, Visalakshi Jeyaseelan, Shuba Kumar,Thenmozhi Mani, Deepa Rao, Katherine R. Murray and Lisa E. Manhart. Cultural Adaptation of the Brief COPE for Persons Living with HIV/AIDS in Southern India. AIDS Behav DOI 10.1007/s10461-014-0872-2. Springer Science+Business Media New York 2014. Nora J Kleinman, Lisa Manhart, Rani Mohanraj, Shuba Kumar, Lakshmanan Jeyaseelan, Deepa Rao and Jane M Simoni. Antiretroviral Therapy Adherence Measurement in Non-Clinical Settings in South India. Aids Care 2014 doi. 10.1080/09540121.2014.946382. Rani Mohanraj, Shuba Kumar, Sarojini Manikandan, Veerapandian Kannaiyan and Lakshmi Vijayakumar. A Public Health Initiative for Reducing Access to Pesticides as a Means to Committing Suicide: Findings from a Qualitative Study. International Review of Psychiatry August 2014; 26(4):445-452. 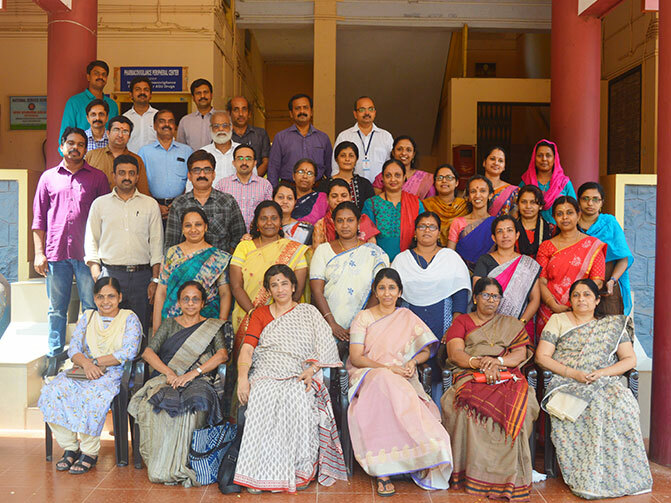 MirjaKoschorke, R. Padmavati, Shuba Kumar, Alex Cohen, Helen A. Weiss, Sudipto Chatterjee, Jesina Pereira, Smita Naik, Sujit John, Hamid Dabholkar, Madhumitha Balaji, Animish Chavan, Mathew Varghese, R. Thara, Graham Thornicroft, Vikram Patel. Experiences of Stigma and Discrimination of People with Schizophrenia in India. Social Science and Medicine, 123, (2014) 149-159. Geng Zhang, Vasanti S Malik, An Pan, Shuba Kumar, Michelle Holmes, Donna Spiegelman and Frank Hu (2010) Substituting Brown Rice for White Rice to Lower Diabetes Risk: A Focus Group Study in Chinese Adults. Journal of the American Dietetic Association. 110: 1216-1221. Rani Mohanraj and Latha. Perceived Family Environment in Relation to Adjustment and Academic Achievement. Journal of the Indian Academy of Applied Psychology, January - July 2005, Vol. 31, No.1-2, 18-23.